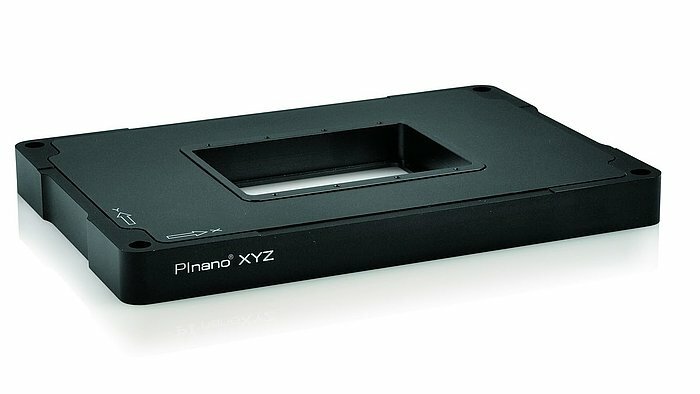 XY piezo stages can be designed in several ways. 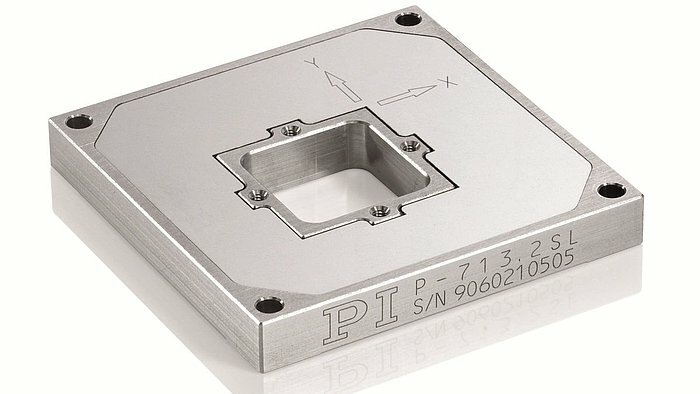 Wire EDM (Electric Discharge Machining) cut flexures provide the best guiding accuracy. 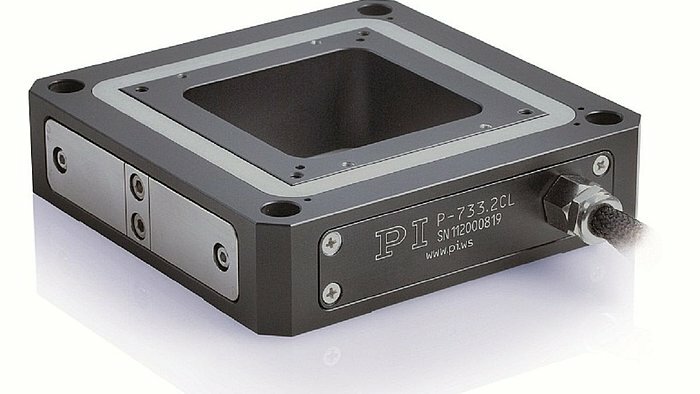 For the highest performance and optimized dynamics, a monolithic planar design (single module) with parallel kinematics and parallel metrology position feedback is recommended. 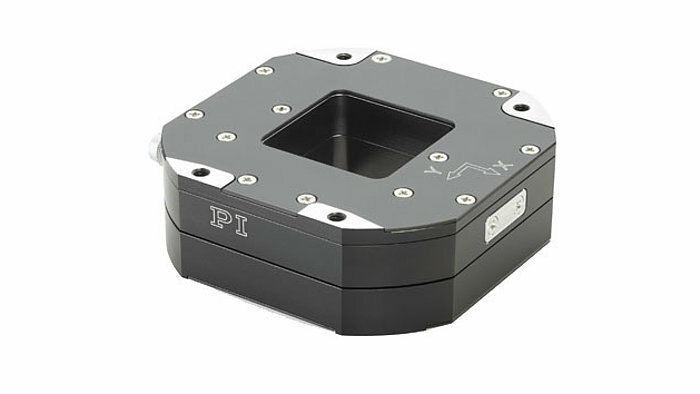 Stacked or nested X-Y stage axis designs are also available – they trade the flexibility of modularity with the added inertia/height and lower dynamic performance. 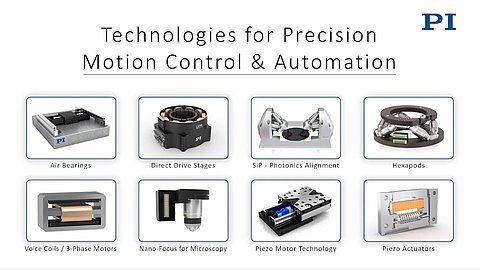 Due to the frictionless design of drive system (solid-state piezo stack actuators), sensors, and the flexure-based guiding system, PI piezo nanopositioning stages can provide sub-nanometer positioning resolution. 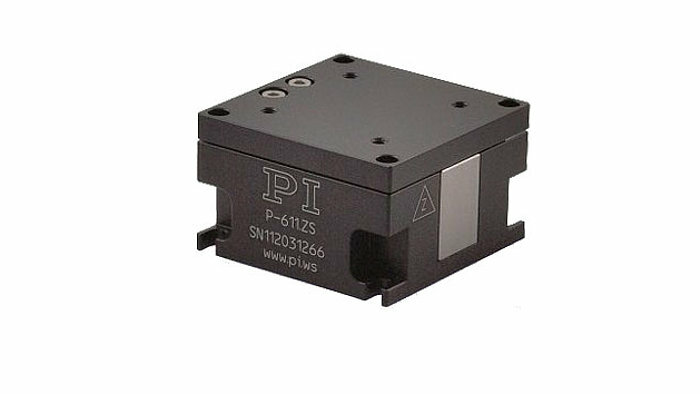 Most of PI's XY piezo stages are equipped with an ID chip that contains calibration data for the digital piezo controller, allowing stage an controller to be swapped in the field without the need for recalibration. The latest generation of digital controllers, also further enhances the bandwidth, linearity, and the position stability as well as step-and-settle times. 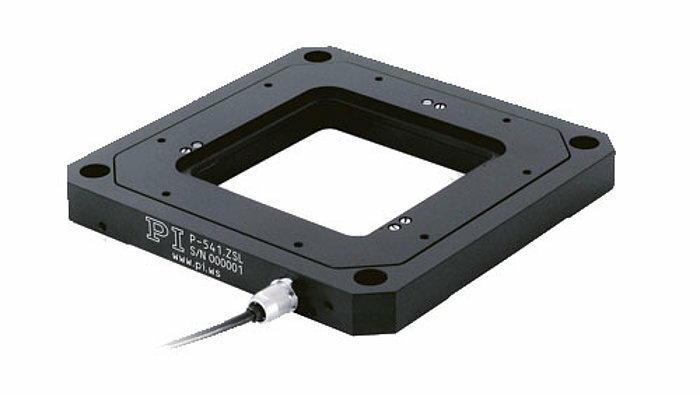 The PIHera XY product family comes in many sizes and travel ranges up to 1800µm. 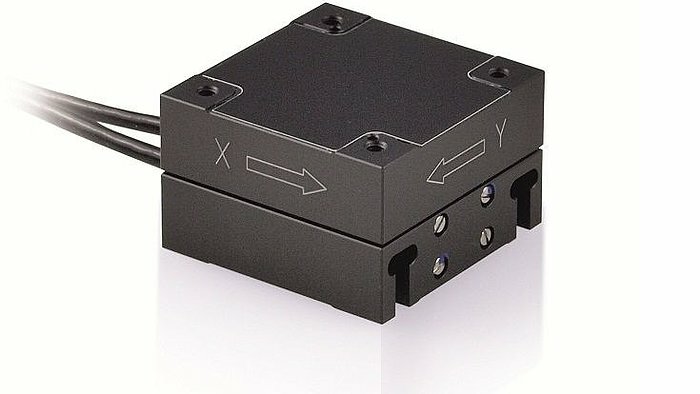 In addition to single axis and XY versions, Z stages are available that can be combined to form XYZ combinations. 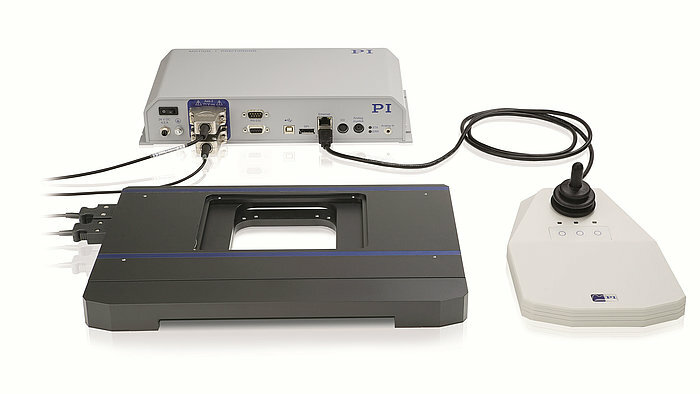 PIHera stages are available with capacitive position feedback for the highest linearity and stability. 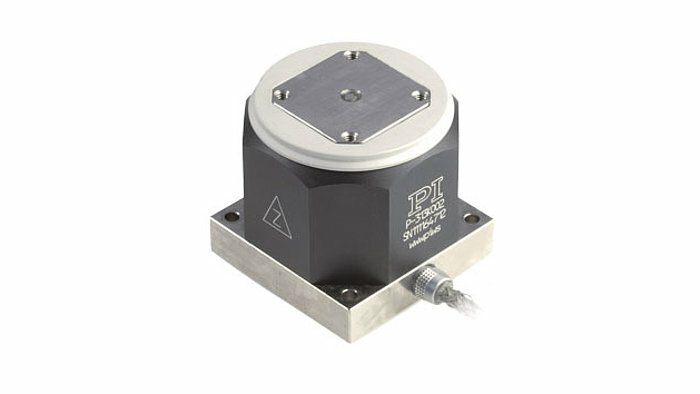 The P-611 is an economical XY stage with strain gauge sensors and 100µm travel. 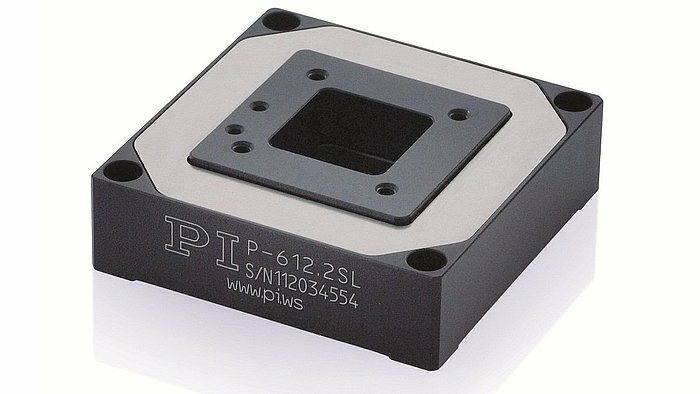 P-363 and P-313 provide small travel ranges of 5µm and 1µm respectively, but picometer range resolution and extremely high dynamics due to their direct-drive design. They are used for atomic force applications. 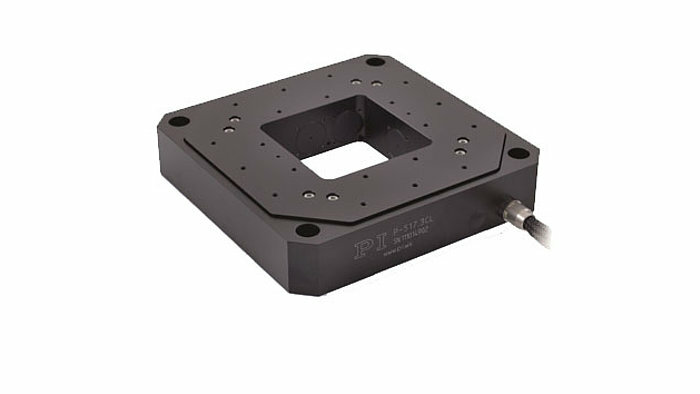 The P-313 makes use of a highly linear electro-active material that does not require position feedback and allows higher bandwidth scanning. 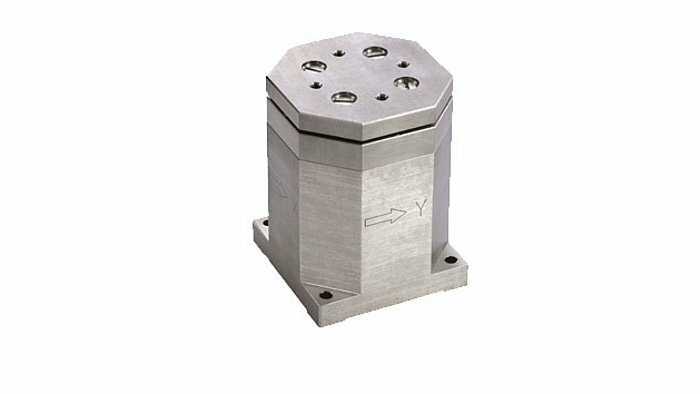 These XY stages are designed with apertures to facilitate optical applications. Stages with direct-drives provide higher dynamics, but limited travel ranges. 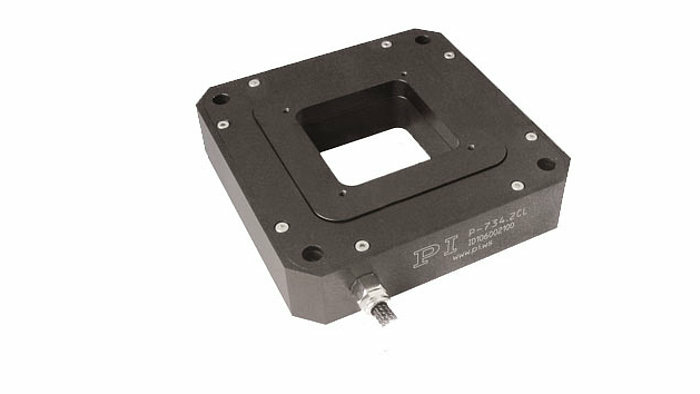 Integrated flexure motion amplifiers are used to provide longer travel ranges of 100µm and above. 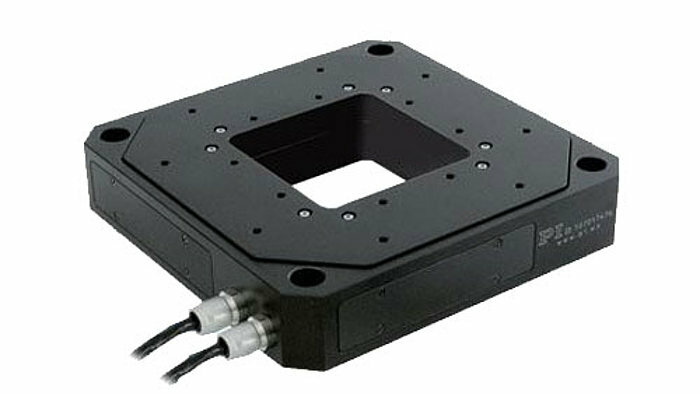 The U-780 is based on ultrasonic linear motors and provides travel ranges up to 100mm and above. 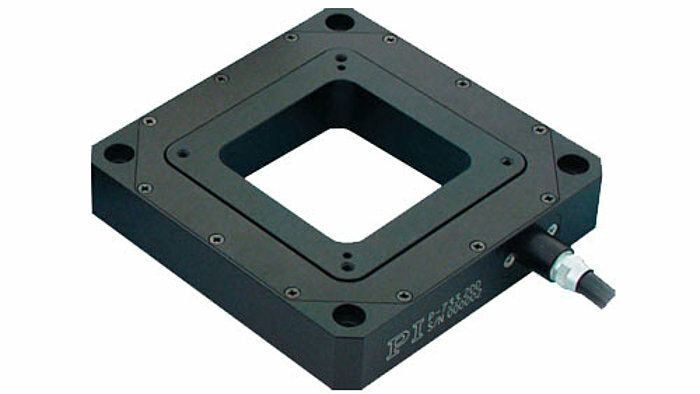 It uses mechanical bearings instead of flexures. 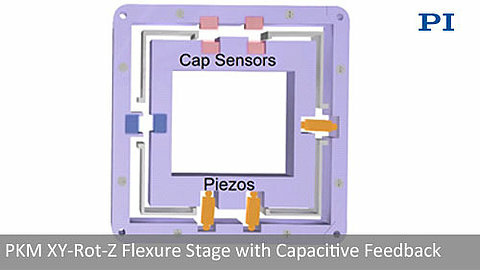 With the use of flexures mechanisms, the motion of a piezo stack can be multiplied many times to achieve up to one millimeter travel (or more in extreme cases). Flexures can be designed to also double as guiding and preloading mechanisms. Flexure motion is based on the elastic deformation (flexing) of a solid material. Friction and stiction are entirely eliminated, and flexures exhibit high stiffness, load capacity, and resistance to shock and vibration. Flexures are maintenance free and not subject to wear. They are vacuum compatible, operate over a wide temperature range, and require neither lubricants nor compressed air for operation.